What progress is Bristol making in its digital infrastructure? Each year, OFCOM publishes data on the state of fixed broadband and mobile communications in the UK. 2018’s Better Connected report contains the broad national trends in the vital task of improving the nation’s digital infrastructure, as we all become more dependent on the internet. It also enables us to see how Bristol is progressing. Better Connected 2018 confirms the trend that homes and businesses are using more data than ever before, and the impressive growth in data consumption is driving the the imperative of upgrading the nation’s digital infrastructure to full fibre, better 4G and 5G. BUT, even when faster services are available, people don’t necessary take them. 94% of premises have access to superfast broadband, but only 45% of premises have signed up to them. 2018 was a year of progress in Bristol with Openreach beginning the mass roll out of its Fibre First programme – you may have seen telephone poles in your area with yellow ‘overhead fibre’ labels showing how the fibre is poised to make a final full fibre link to your home or business. Other companies, like City Fibre, have announced plans for a major investment in citywide roll out of their network. 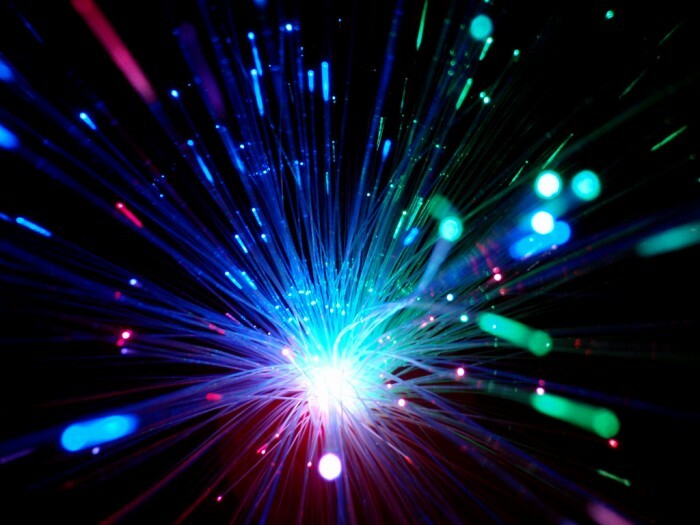 Smaller providers are taking advantage of the Government’s Gigabit Voucher Scheme for homes and businesses to provide gigabit-ready full fibre broadband with grants up to £2,500 to get quickly connected. On mobile communications, operators are upgrading their base stations to improve our 4G signal, with Vodafone planning to trial 5G services later in 2019. Bristol homes and businesses with superfast+ speeds (>= 30 mbps per month) use an average of 247 GB of data per month. Those Bristol premises with faster connections use more data – 372 GB per month for those on ultrafast connections (>=300 mbps). Compared with the previous years, average data use on superfast connections has grown by 26% and on ultrafast by 12% – in just one year. Although not core cities, we do need to acknowledge the impressive performance of Hull (78.9%) – with its telecoms operator that has gone straight to full fibre – and Milton Keynes at 17.5%, that is benefiting from investment by Vodafone / City Fibre with a plan to be 100% full fibre by 2021. Whilst acknowledging the investment and the hard work of crews rolling out Bristol’s full fibre infrastructure, we do need to acknowledge that many European cities are much further ahead on their full fibre roll out programmes. Countries like Portugal, Spain, Latvia and Lithuania all have over 70% fibre to the premise (FTTP) coverage with the UK languishing on 3-4%, but beginning to pick up pace. Having said this, the availability of superfast broadband (faster 30 mbps) via hybrid networks – part fibre / part copper – in the UK is ahead of many EU countries at 94%+ availability.